However, there's little to no evidence supporting any of the other numerous health claims related to marijuana, the report said. And there's a downside as well -- marijuana use comes with a host of potential health risks, whether someone is using the drug medicinally or recreationally, according to the report. The report calls on government to ease regulations that hamper research into marijuana, so scientists can sort the wheat from the chaff when it comes to medical claims and health risks associated with pot. Medical marijuana has been authorized in 28 states, and eight states have legalized recreational pot use. The trend toward normalizing pot use isn't going away, and must be met with hard data on benefits and harms, said report co-author Sean Hennessy. He's a professor of epidemiology with the University of Pennsylvania Perelman School of Medicine in Philadelphia. "Many people are using cannabis and cannabis-based products for conditions for which there aren't good data," Hennessy said. "That's growing. That's only going to go up. It's not going to go down. The committee feels it's very important to develop the data so people know whether or not there's going to be benefit." The National Academy of Sciences released The Health Effects of Cannabis and Cannabinoids on Jan. 12, following an extensive review of all available medical research. The review found conclusive evidence that oral cannabis-derived drugs can ease chemotherapy-induced nausea and vomiting, and substantial evidence that oral cannabinoids can effectively treat spasms from multiple sclerosis. Either oral cannabinoids or smoked cannabis are effective in treating chronic pain in adults, based on substantial medical evidence, the report states. Oral cannabis-based drugs contain THC, the intoxicating compound in pot, or cannabidiol (CBD), a non-intoxicating chemical in marijuana that appears to have some therapeutic benefit, Hennessy said. "Most of the data related to therapeutic use is not with smoked cannabis, but primarily oral forms," Hennessy said. "Some of them are mixtures of TCH and CBD, and some of them were CBD alone." There's also moderate evidence that cannabis or cannabis-derived products can help people who have trouble sleeping due to health problems like sleep apnea, fibromyalgia or chronic pain, the report stated. The review found little to no evidence to support claims that marijuana or its products can help treat anorexia, Tourette's syndrome, irritable bowel syndrome, anxiety, post-traumatic stress disorder or neurological problems such as epilepsy or Parkinson's disease. Limited evidence also suggests that marijuana is of no use in treating glaucoma and reducing depression linked to chronic pain. "There are many potential therapeutic uses that people use cannabis and cannabis-based products for," Hennessy said. "There's a strong level of evidence for its efficacy only in a few areas. All of the other areas, it's mostly the case there isn't enough data to tell one way or the other whether they work or not." Paul Armentano, deputy director of NORML, said the report adds more weight to the argument that marijuana should be legalized. "For far too long, this growing body of science, as well as our real-world experience with marijuana, have largely been ignored by policymakers and pundits," Armentano said. "It should not be." 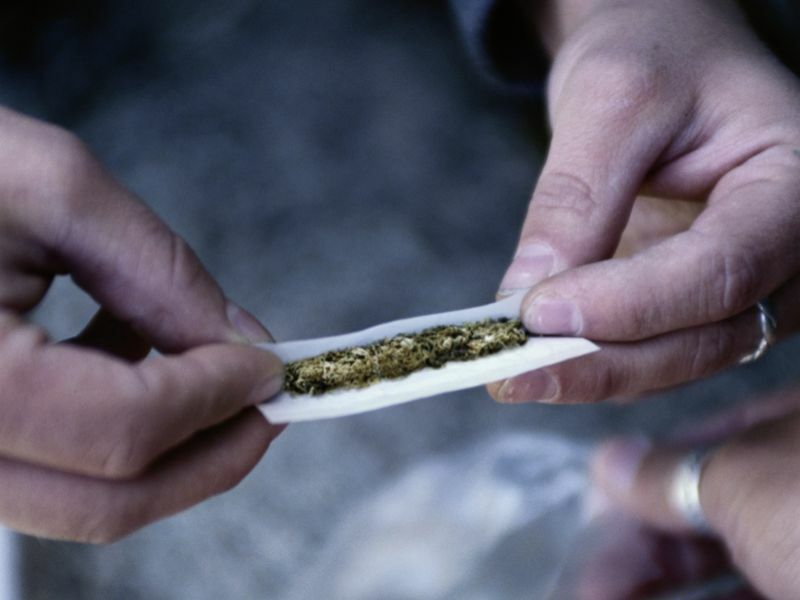 Kids who use marijuana at a young age are at risk for problematic cannabis use later in life. Pregnant women who smoke cannabis have an increased risk of delivering a baby with low birth weight. Long-term pot smoking can cause chronic breathing problems. Frequent cannabis use increases the risk of developing schizophrenia or social anxiety disorders. As with the benefits, there's not enough evidence to rule one way or the other on most of the harms that have been linked to pot use, the report concluded. One bright spot -- the report said smoking pot doesn't increase the risk for cancers often associated with tobacco use, such as lung cancer. Dr. Michael Bostwick, a psychiatrist with the Mayo Clinic, said that's likely because pot isn't smoked as often as tobacco. "Part of what's dangerous about cigarette smoke is that you get exposed to so much of it for such a long time," Bostwick said. "People don't smoke two packs a day of marijuana." Federal regulators should consider reclassifying marijuana and making it more easily available to researchers so these outstanding questions can be addressed with solid research, the report said. Researchers also need to establish firm ways of measuring exposure to pot, said report co-author Dr. Bob Wallace. He is a professor of epidemiology at the University of Iowa College of Public Health in Iowa City. Levels of THC and CBD vary widely between strains of marijuana, and it will be difficult to measure the impact of pot if researchers don't create standards for measuring exposure to those compounds, Wallace said. "We need better ways to understand and summarize how much of a dose people are getting," he said.